Through touching true stories and inspiring insight, Debbie Macomber takes us on a journey to discover the influence others have on us—and the power we have to influence them in turn. Who is on God’s “guest list” for your life…and why? The answers may surprise you. Each of us have “influencers” that have affected our lives—some from a distance, some through word or deed, some through example, be it good or bad. Often we don’t even recognize the deep impact others have had and how God has used them to shape us into who we are. By pausing to recognize these influences, we begin to grasp how God’s guest list has a purpose far beyond what we imagined. We begin to see the seeds of influence that grew into our personal values and character. In some people God invites into our lives, we see only what appears to be painful or negative influence. 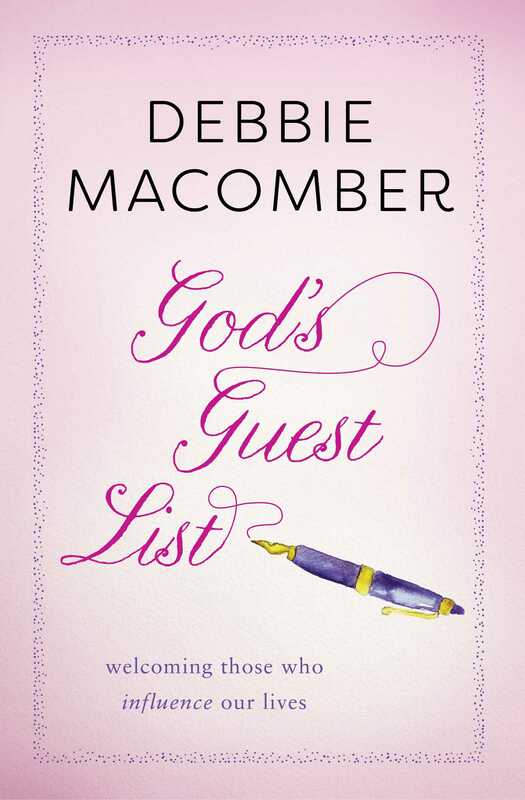 In God’s Guest List, Macomber redirects our attention, opening our eyes to how those experiences prompted strength, resilience, resolve, and choices about how we would change and who we would become. In other instances, God has surprised us with just the people at just the right time to support, teach, lead, or love us, but perhaps we haven’t quite recognized God’s timing and work through these “guests.” This book also offers the chance to grasp our own power to influence others, and even to anticipate what lives we have yet to touch. In the bestselling tradition of How to Win Friends and Influence People, Macomber shares her vision to seize every opportunity to be a positive and faithful influence on others. Filled with true stories and rich insight, God’s Guest List will forever change how you see the people in your life. 1. What is it about choosing just one word to chew on for a whole year that seems like such an adventure? Have you ever had a word or an idea crop up again and again over a short period of time? What was that word or idea? Why do you think it kept surfacing? 3. For Debbie, the word believe came at a time of great uncertainty, right at the turn of the millennium with all the hype of Y2K. Does this give us insight into God’s timing as he gives us a word assignment? Why do you think he gave Debbie the word believe when she was facing misgivings and fear? Why not courage or another buck-up type word? 4. Debbie confessed that she chose hunger in 1979 as she struggled with her eating addiction. She thought the word would take her one place, but she ended up learning something entirely different. Has that ever happened to you? Have you ever set out thinking you were going to explore one thing only to find out God had a different plan? What was the surprise lesson you learned? 5. The year 1986 was a troubled one for Debbie. Why do you think God chose trust? Do you see God’s hand in the choice of words? Do you think we are somehow asking for trouble when we choose a word that only grows out of challenges? You’ve heard people jokingly advise, “Never pray for patience. You’ll only get trials.” Is there an upside to choosing a potentially difficult word? 6. During one of the toughest years in Debbie’s life, her word was brokenness. Look back over your life. Was there a year that seemed to reflect that theme, even if you didn’t intentionally choose it? How did God work through that with you? 7. In 1990, Debbie chose the word prayer. Have you ever had a yearlong adventure in prayer? If you were to choose this word, how would you explore it? How does one move prayer from the coulda-woulda-shoulda list to the just-can’t-get-enough- of-this list? When you saw that Debbie picked the word obedience in 1998, what was your reaction? It’s not exactly a motivational word, is it? Debbie says, “We need to recognize that if we ignore His rules, there will be consequences.” Why is obedience so difficult for us, especially when we consider that it will save us untold chaos? 9. In 2002, Debbie’s word was seek. She believes it’s been a theme for much of her life. What happens to us when we seek God? How do we go about doing this? How might our lives be different if we were never called to seek God? 10. When Debbie chose the word balance in 2009, did you identify with her? What is it that keeps us off balance in this hectic world? If you could somehow find balance, what would it look like? How do we take steps to get our life in balance? 11. Wisdom is one of those things God promises to give us if we ask. In this age of quick judgment, impetuous actions, and on-the-spot decision making, how do we cultivate wisdom? Think of the people you know? Describe your wisest friend. What sets that person apart? 12. In 2004, Debbie was surprised by the word that came to her: surrender. Have you ever been surprised by something God seemed to have in store for you? How hard is it to surrender to His agenda? When we work so diligently to keep control, is it scary to consider surrender? What does it take to get there? 13. It was 2006 that Debbie’s word was hope. She found out it was very different from simple optimism. What is the difference? How do we learn to hope? 14. Passion is an exciting word. When Debbie chose it, she already knew she was a person who embraced things in a big way. During the year she learned that the world is sometimes uncomfortable with passion. It’s not cool. How do we give up the cool detachment that is thought to be attractive? How do we stop holding back? Do we worry that if we become passionate people we will somehow burn out? What does God have to say about this? 15. Debbie explored the word purpose a couple of years ago. The yearlong study took her some interesting places. Do you believe God has one big purpose for your life like he did for Esther? Or are our lives made up of many opportunities—many purposes? How do we find our place? What holds us back from realizing our potential? 16. Were you surprised to see all the verses used throughout the book that had promises attached? Why is it we hold back from seeking all God has promised us? Is it that we think we are not worthy? Are we afraid to take the Lord literally? Look through the verses Debbie outlined in chapter sixteen. Rewrite them into your journal—one a day—putting your own name in each one, personalizing them like this: If SUSIE remains in me and my words remain in HER, SHE CAN ask whatever SHE wishes, and it will be done for HER (John 15:7). Meditate on these powerful promises. 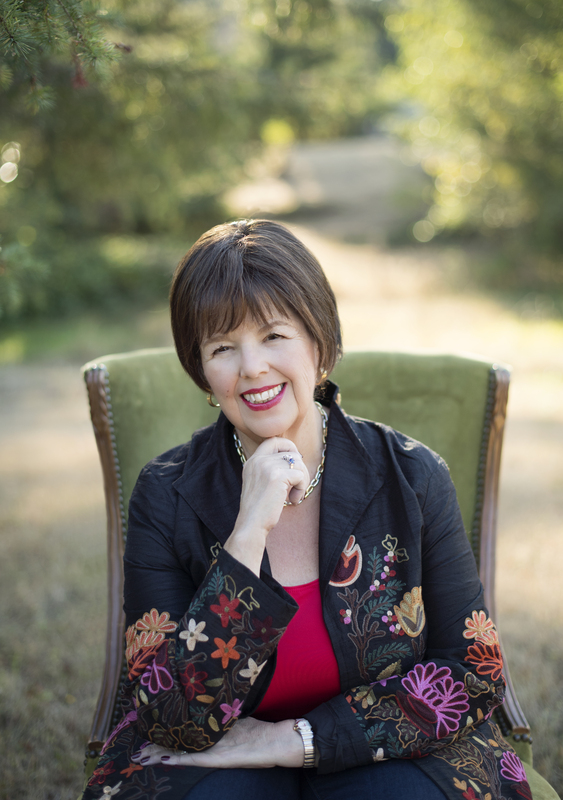 Debbie Macomber, with more than 100 million copies of her books sold worldwide, is one of today’s most popular authors. Visit her at DebbieMacomber.com.